Please refer to our color chart for preferred stock of backing layer. 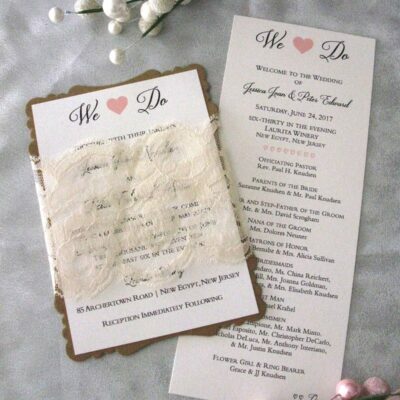 Shown here in 5 x 7 this invitation features a kraft bracket card backing (can be a regular card also) with printed layer and delicate lace wrap around. 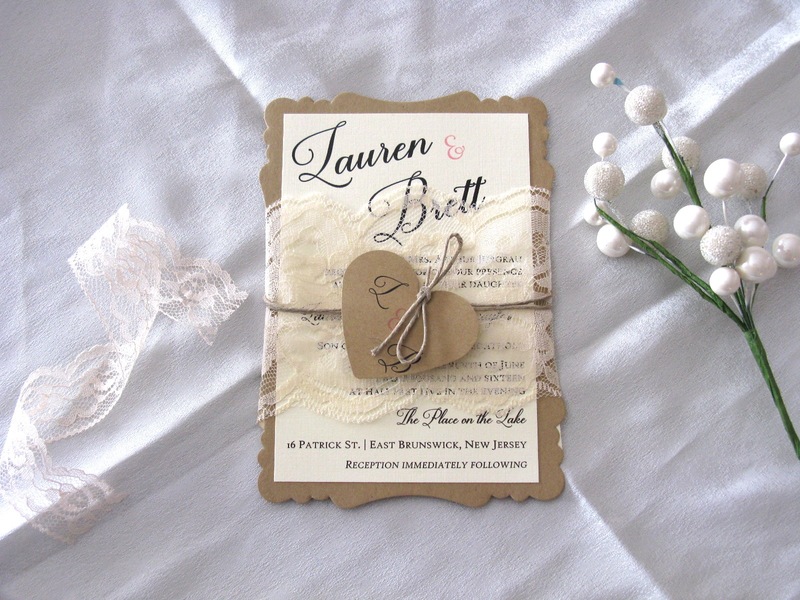 Finishing touch of twine and a heart shaped tag. 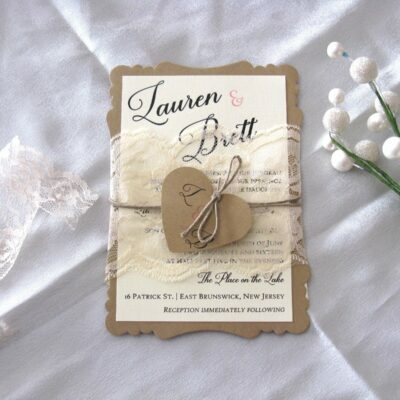 Invitation will include the lace wrap you see here, twine tie around, two insert cards and two layered reply card. Also included but not shown are the outer mailing envelopes and reply envelopes with return address printed. 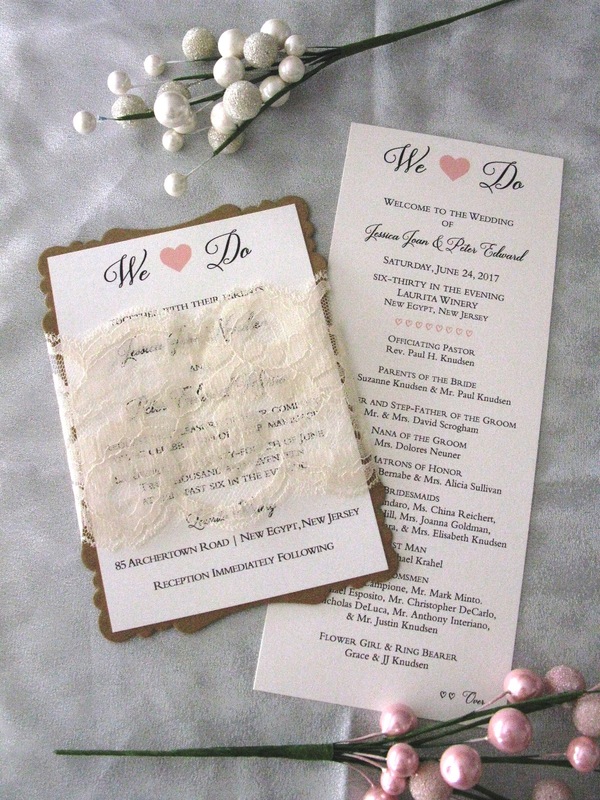 Envelopes in white or natural white included.